A genealogy site with family from Nova Scotia to New England. Reverend Daniel Fuller was born April 20, 1699 in Dedham, Massachusetts to Thomas and Esther Fisher. He is my fifth-great grandfather on my father’s side. His second wife, Mary Edgerton, gr.gr.granddaughter of William Bradford of the Mayflower was my fifth great-grandmother. Her daughter, Mary “Molly” Fuller married Joseph Hunt. In a family history of the Ballard/Fuller families, the following was said: ” Israel Ballard married again to Ellis Fuller (b. December 17, 1751 in Willington, Conn.) on September 14, 1774. Ellis was the youngest daughter of Rev. Daniel Fuller (according to a genealogy prepared by Rev. Dodge, 1936). Rev. 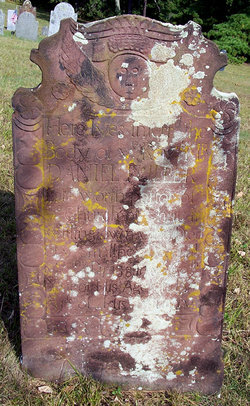 Daniel Fuller died 6 Dec 1758 in Willington; he had been born 20 Apr 1699 Dedham, Norfolk, MA, married Lucy Goodrich in 1723 in CT but she died 21 Jul 1736; he married second Mary Edgerton (b.17 May 1713 Norwich, New London, CT—d.12 Sep 1769) on 26 Oct 1742 in Willington. He then studied theology, and from 1728 (ordained September 11) until the time of his death was the first settled pastor of the Congregational church at Willington; here he exercised great influence due both to his ability and to his decided opinions. F. B. Dexter’s Biographical Sketches of Graduates of Yale College gives the following sketch of his life: Daniel Fuller, son of Thomas Fuller, Jr., of Dedham, MA, was born in Dedham, 1699; he studied theology, and in April, 1725, was called to the pastorate of the ecclesiastical society in Paquoinoc, in the northwestern part of the town of Windsor, Con., to which he had been preaching for a year; arrangements for his settlement proceeded so far that a council was called for his ordination, but in the meantime the society became dissatisfied, and a council advised him to withdraw, which he did. Mr. Fuller (then residing in Wethersfield) appealed, October, 1726, to the General Assembly for redress, but was for a time unsuccessful; in May, 1727, he renewed his petition, and was awarded 50 pounds damages. At the same session of the Assembly, 1727, the township of Willington was constituted and provision made for the maintenance of public worship; a church (Congregational) was accordingly gathered, July 3, 1727, and Mr. Fuller was ordained on September 11, 1728, their pastor. There he remained, gaining a subsistence with great difficulty, until his death, of the small-pox, December 8, 1768, his 60th year. He married, August 7, 1723, Lucy, daughter of Jonathan and Abigail (Crafts) goodrich, of Wethersfield. One son by her, Jonathan, became a noted physician in Mansfield, and had sons who graduated from Yale in 1783 and 1793. In his will, dated December 2, 1758, Mr. Fuller mentions his wife Mary, four sons and four daughters. He inventory was 254 pounds, and included twenty-five volumes of books. In the theological divisions he was classed as an “old light”. The original will is in the State Library at Hartford. In it we find that Daniel left: “to wife Mary one-half of household goods; one-third part of the real estate as long as she remains my widow. To daughters Lucy, Mary and Alice, an equal part in remainder of the household goods, and one equal part of rest of my books, etc.” In the inventory is listed the major items of his library. A wig is mentioned; also 108 acres and buildings; 1 horse, 2 cows, yoke of oxen, 11 sheep, 2 swine. Total inventory 451 pounds, 13 shillings, 7 pence. The administration account dated October 15, 1759, shows that the debts, consisting of notes and bills exceeded the value of the personal property. Claims against the estate exceeded 200 pounds. It is said that during the Rebellion someone of his descendants sold nearly one thousand pounds of Rev. Daniel’s letters, sermons and other papers for paper rags. This entry was posted in Eldridge/Eldredge/Lougee/etc.. Bookmark the permalink.